The industrial sector produces about 25 % of Paraguay "s gross domestic product (GDP) and employs about 18% of the labor force (according to the latest Employment Survey DGEEC). 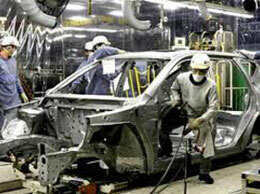 Production grew by 6.0 % in 2010, continuing the recovery that began in 2003, from the stagnation of period 1998-2002. 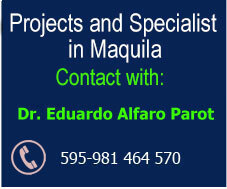 Traditionally, agricultural economy, Paraguay is showing signs of industrial growth. The pharmaceutical industry already produces 60% of what is consumed in the country, exporting nearly U$S 40 million annually. The agro-related metalworking industries sector also getting stronger, being that the country occupies the fourth place as largest motorcycle manufacturer in South America with over 230,000 motorcycles produced annually. Auto parts, motorcycle parts, truck parts, chassis parts for hydroelectric plants, barges and other vessels also growing rapidly. Only in the first half of 2013, Paraguayan exports of metalworking machinery and electronic equipment reached U$S 25 million, reaching more than US$ 100 million at the end of 2013. The same rate is found in other sectors, such as plastic, clothing, footwear and chemicals in general. 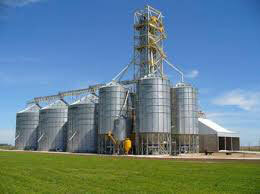 Moreover, agribusiness is getting stronger. The biggest Paraguayan industry remains the production of electrical energy from Itaipu and Yacyretá, who contribute annually with US$ 1.6 billion of Industrial GDP. Another important industrial sector is cigarettes, estimated at about U.S. $ 700 million in annual sales. Meanwhile, processed dairies 550 million liters annually, with production of beer over 300 million liters in its two companies: CERVEPAR and CERVECERIA ASUNCION. And the production of cola sodas exceeds 500 million liters per year. In our country, at a flat rate, there are nearly 5,000 products (meat, synthetics, metals, wood, plastics, textiles, chemicals, textiles and other). The possibility of increasing our creation of farm labor can not yet take advantage of the it real dimension. 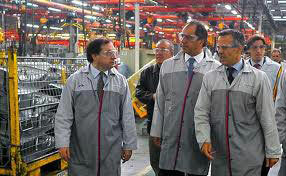 Paraguay "s main industries are based on agriculture and livestock. The main agricultural products are cotton, sugarcane, corn, soybeans, wheat, tabacco, oranges and yerba mate, which is consumed in the country as a beverage, with cold water (tereré) or hot water (mate). Livestock is very important, especially in the Chaco and South East Region, with the industrialization of all its derivates. The forest industry provides products in the form of sawnwood, furniture, tannin and essence of petit-grain, used as base in the perfume industry. Although there are deposits of oil, natural gas, iron, manganese, bauxite and other minerals, although they are not commercially exploited.